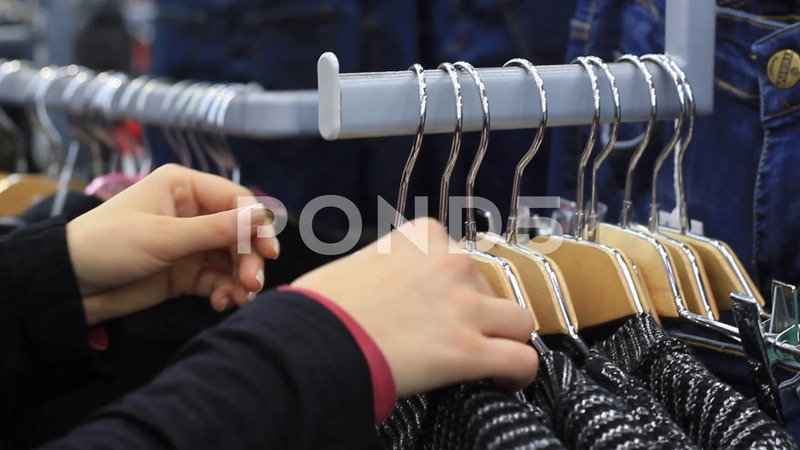 Female Hands On Touch A Coat Hanger With Clothes In Boutique. Description: Female hands on touch a coat hanger with clothes in boutique. Shopping mall. Clothing store. The girl considers and chooses to herself clothes.